An economical general purpose rope. 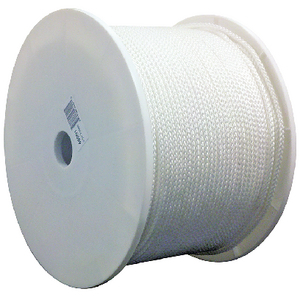 Constructed of 8 strand white braided polypropylene cover with a knot holding control core. Excellent knot retention. Ideal for use with boat covers or to form the support structure for shrink wrapping boats.